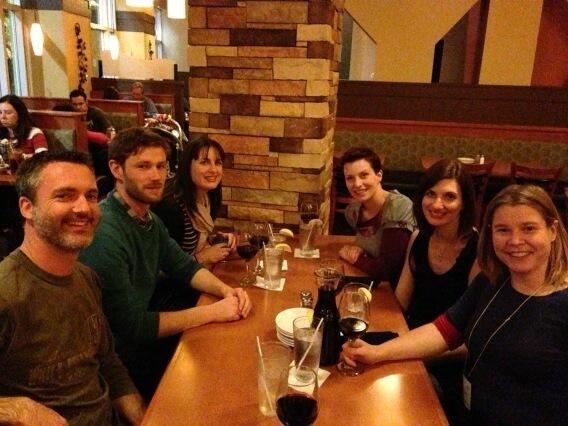 At Musical Futures we take the ‘continuing’ of Continuing Professional Development seriously. The content and approach of our CPD is a successful, tried-and-tested formula: practical, hands-on, where delegates are immersed in the process and practice of Musical Futures, whether through an introductory training day or a more specialized in-depth exploration of our models, for example our newly-designed Find Your Voice training sessions (starting in February). However, following the pioneering example of the Teacher Development Trust, we will now explore in more depth with delegates what is it about their existing practice that they want to change by attending a Musical Futures session, and most importantly what is the long-term impact they hope to see on their students. We will be implementing a new evaluation framework around our CPD shortly to help delegates to reflect on this. 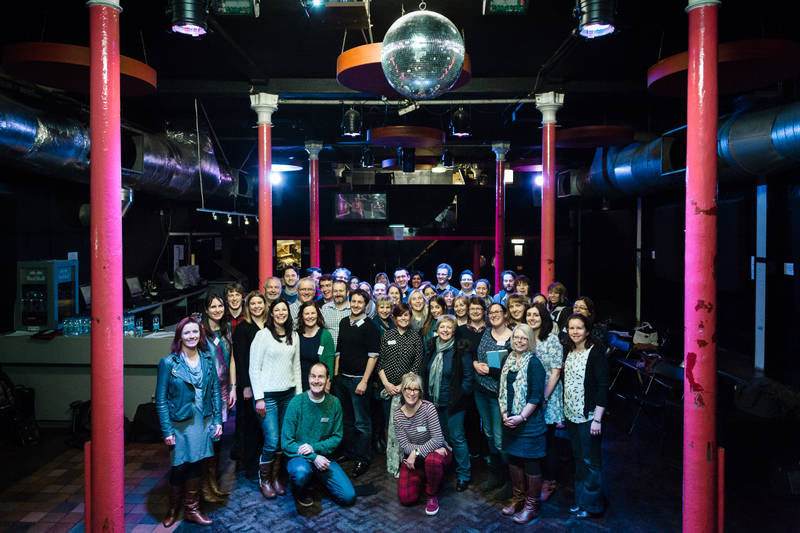 Feedback from delegates suggests that one of the benefits of a Musical Futures training session is meeting with like-minded teachers/practitioners, exchanging ideas and resources, and sharing concerns/issues around music learning in schools. Once these relationships have been formed, this needs to be continued. 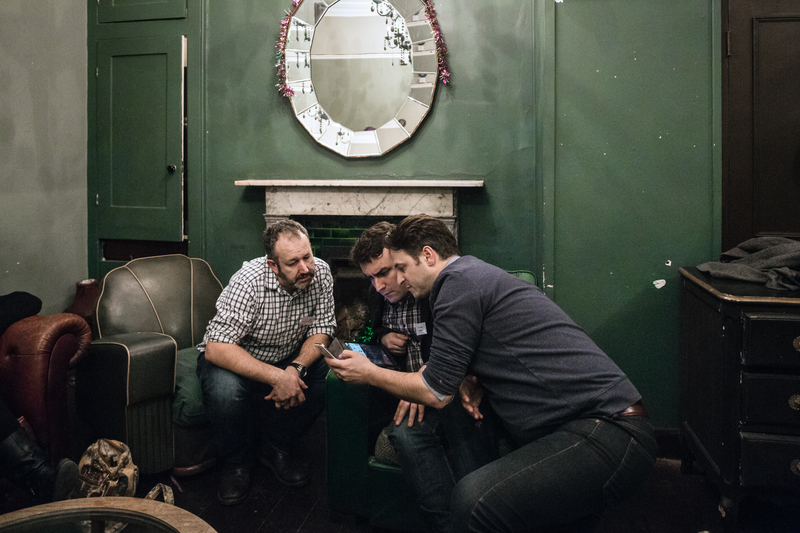 Following a Musical Futures course, regular Twitter chats are scheduled that build off the content of the session and enable practice sharing to continue. Trainers keep in contact with delegates, and address any issues that may arise. And six months after attending a course we will get in touch to see whether delegates have made any long-term changes to their practice, and what further support and development may be helpful, whether from Musical Futures or other training providers. 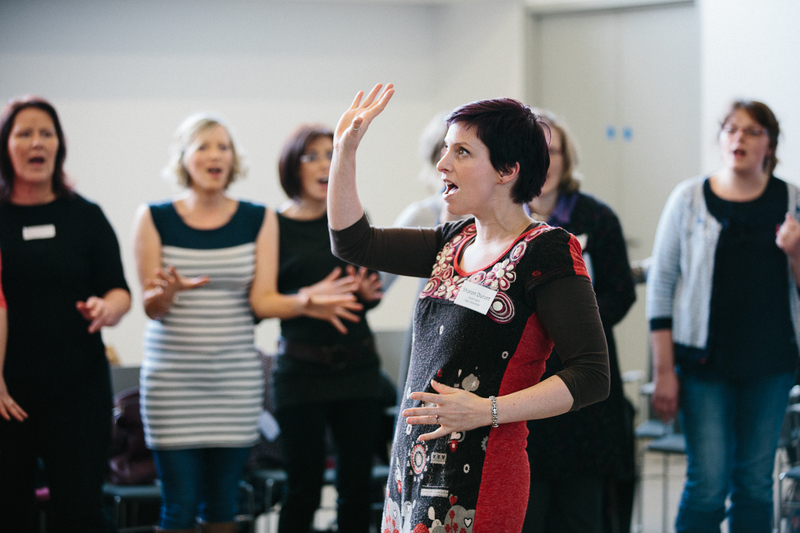 Musical Futures CPD is not only delivered by practicing classroom teachers, who have an implicit knowledge and deep understanding of what implementing Musical Futures involves, but it is co-designed by them as well. We hold annual training for our team of Teacher Associates who work with us to ensure Musical Futures CPD is operating within the most effective framework for teachers and practitioners. 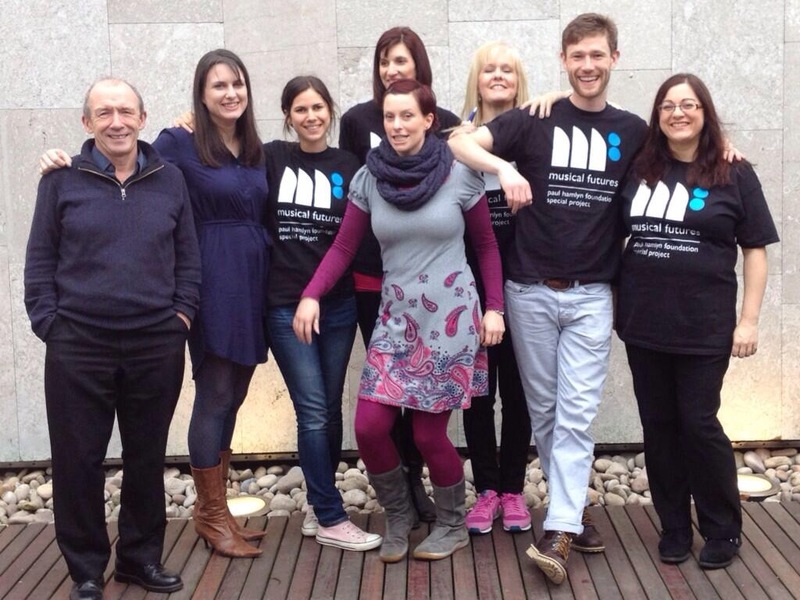 We have re-launched our Find Your Voice training programme for 2015. It became apparent that while we have seen remarkable take-up with Find Your Voice, there has been an over reliance on our materials. 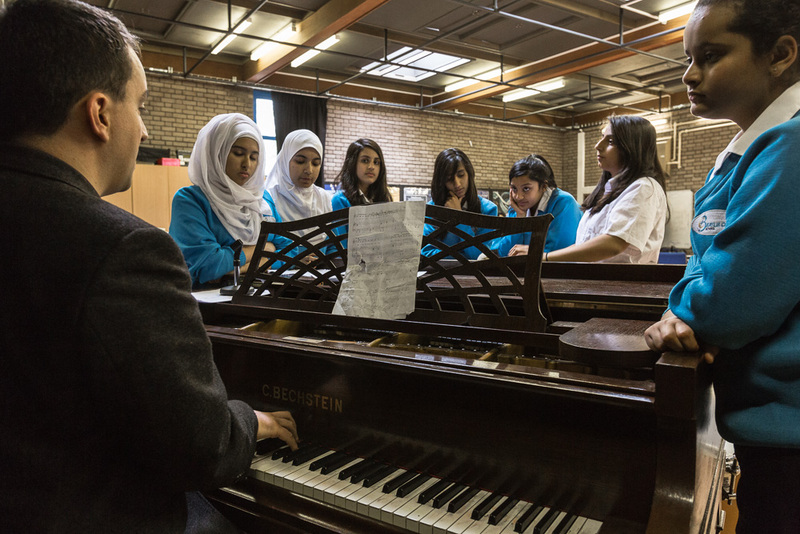 The intention with Musical Futures is that it should be viewed as a flexible pedagogy that can and should be adapted to individual students’ needs, not as a content-driven scheme of work. The focus of Find Your Voice training is to start at the end. What is the point of doing this work with students? What skills do we want them to acquire? 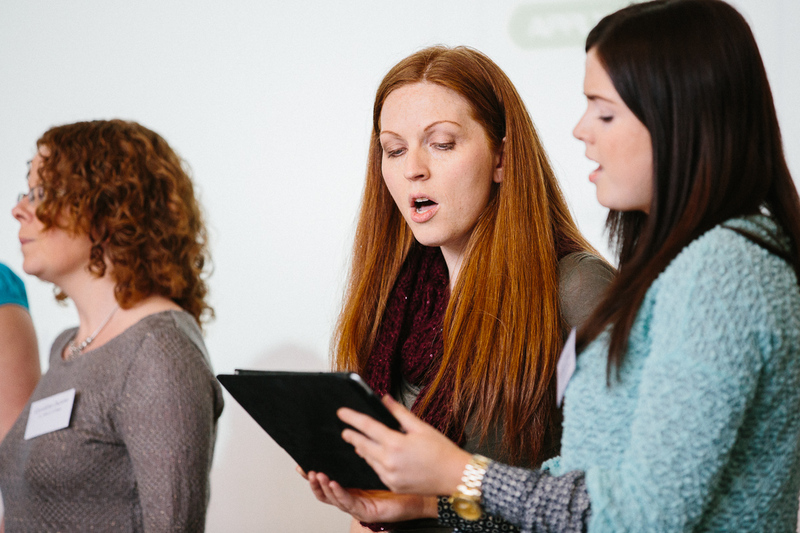 Delegates will then explore in depth the process of exploring and creating music using voices and integrating technology, rather than being repertoire driven. Our App and Website then contain a toolkit of practical resources and ideas for classroom implementation. 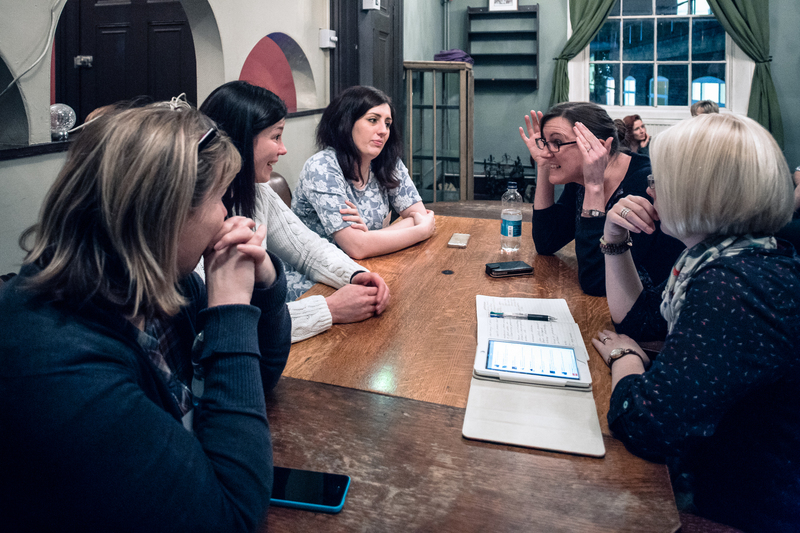 Just as Musical Futures in the classroom emphasises the process of learning music, so too does our CPD. And we know that what works well this year, will undoubtedly need adapting next year. Musical Futures CPD is not about navigating a car to a destination and turning off the engine. It is about jumping in a camper van, filling it with like-minded people, and keeping on driving. It’s been an incredible year for Musical Futures and we wanted to share a few of our favourite bits. How many do you remember? Musical Futures is pleased to announce that we have in development an approach for primary music. This week we presented our thinking behind the ideas to delegates at the Music Mark Annual Conference and were pleased with the positive responses we received. 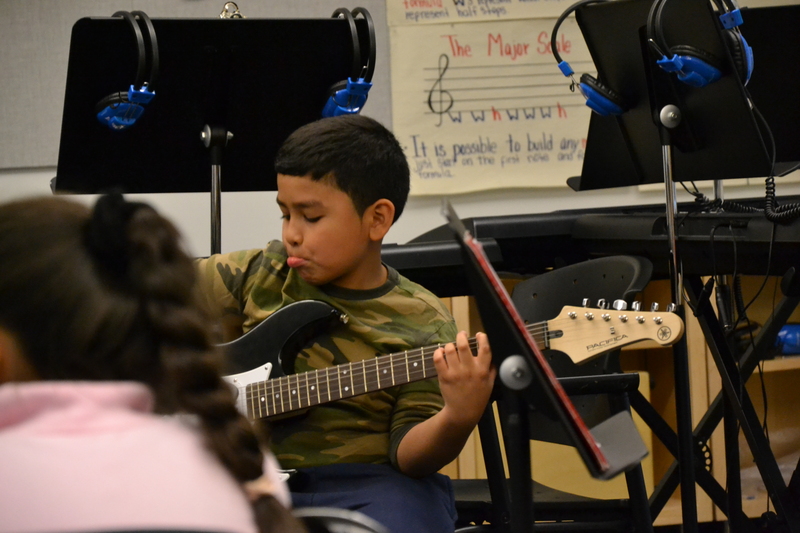 We believe that the process of creating music for its own sake isn’t valued highly enough by schools and communities. We want to change that. 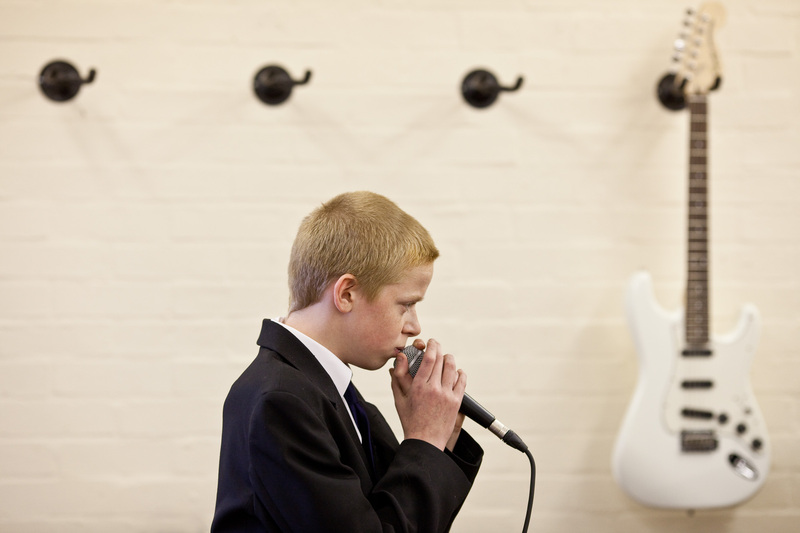 Musical Futures has 11 years of knowledge, expertise, tried and tested methods in how people best learn music. Our trainers are experienced music teachers. The by teachers for teachers approach remains at the heart of MF’s values. We have been fortunate that over the past year we have travelled to see Musical Futures operating overseas in a number of different schools and with different age groups. We have met and talked to teachers, academics, children and parents about school music and we embedded what we have learned into our plans for MF primary. 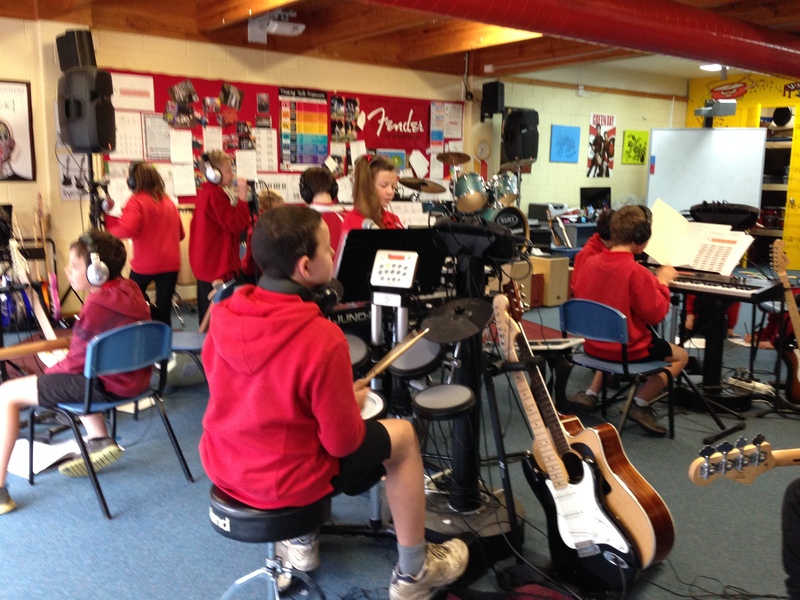 That primary schools in Australia and Canada have successfully adapted and embedded Musical Futures methods into their practice. In Australia 2/3 of MF Australia schools are primary-it does work with younger children. We are pulling together what we have seen, and are testing ideas with primary experts, beginning with a ‘pre-pilot’ to run from Jan-Feb 2015. We are working with our partners in the USA and Australia to define what the elements of a successful programme of primary/elementary school engagement could look like and in September 2015 we will launch Musical Futures Primary as an action research pilot programme. This week we put out a SURVEY for primary teachers, head teachers and teaching assistants to gather feedback on their experiences of primary music in their schools. Please circulate this so that we can gather an accurate picture of music in our primary schools. 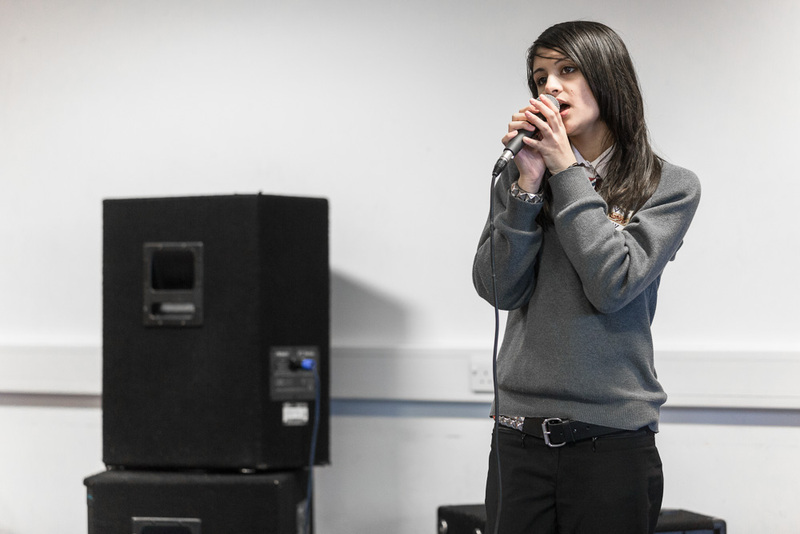 Musical Futures is delivering 10 ‘Find Your Voice’ training events across the UK between February and March. For more information and to book your place see here. A week after the second part of Don’t Stop The Music went out in the UK, the debate continues. Musical Futures has rounded up some of the blogs and articles that have been posted in response. At our Musical Futures team meeting this week, the programme that aired on C4 this week entitled ‘Don’t Stop the Music’ was widely discussed. 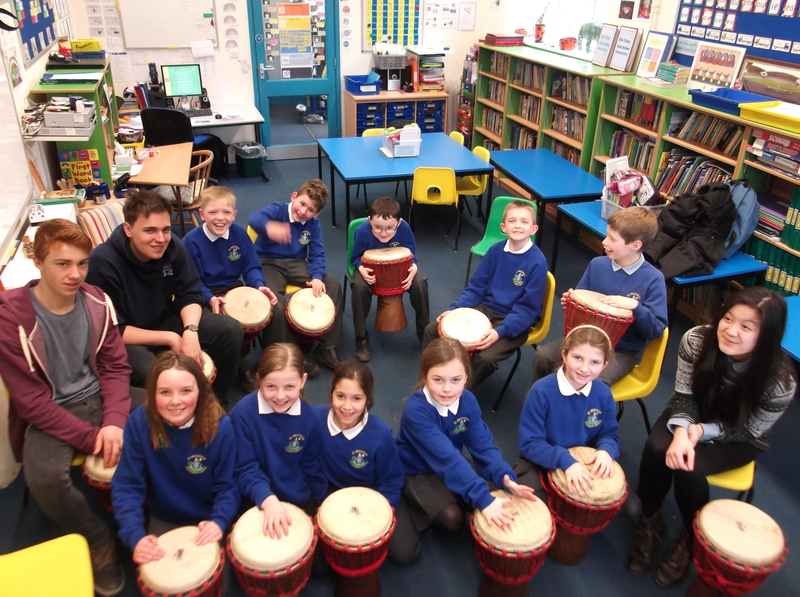 We have a keen interest in what is happening in our primary schools as we start developing “Musical Futures Primary” over the next few months. We also hosted a great first #mufuchat primary special which exposed the passion of teachers for engaging children with music in school. There was a general feeling that initially James Rhodes identified some of the challenges that stand in the way of our children accessing quality music education. 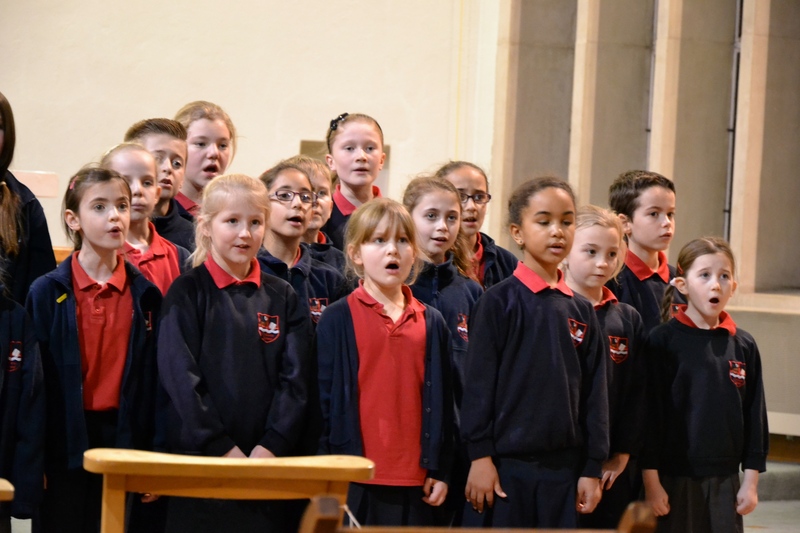 What came across clearly was that the value placed on music in some primary schools is undermined by the absolute necessity for results to be good enough so that the school isn’t judged to be ‘requiring improvement’. The Headteacher’s last comment – that the children had enjoyed it but things had already started ‘slipping’ in other subjects – really summed up that the high-stakes context in which our primary schools are operating and that is something we can’t ignore. The Year 5 teacher filmed delivering a music lesson, that I don’t think anyone could argue (from what was shown) contained any musical learning at all, expressed her frustration at not seeing the point of doing music which she doesn’t enjoy teaching when she could be spending more time on literacy and numeracy work. The very truncated conversation with the local music hub that barely got any air time served to show how much of the hub’s school music provision is costed delivery. With no budget to buy in support, James Rhodes virtually hung up on them! Finally the programme raised issues of what exactly constitutes a quality music education anyway. In James Rhodes’ mind the fact that children “don’t even know who Elgar is and leave school not knowing how to read music” was a massive issue for him. However, here at MF central, we agree with Jackie Schneider who identifies in her blog post about the programme, there hat there are issues in our schools that are far bigger than that! The #mufuchat Tweet-Along which can be replayed in real time if you weren’t around to join in, revealed a massive passion amongst teachers to put this right. It became overwhelmingly clear that teachers feel that the Great Instrument Amnesty isn’t the answer. The need for a sustainable and quality music provision in our schools remains a challenge for which we continue to search for solutions. Our scoping into Musical Futures Primary has so far taken us to Canada where we met Sandie Heckel, who took the Musical Futures Find Your Voice ideas, tried them with her students then set up her own primary and secondary teacher groups to take it further with students of all ages. 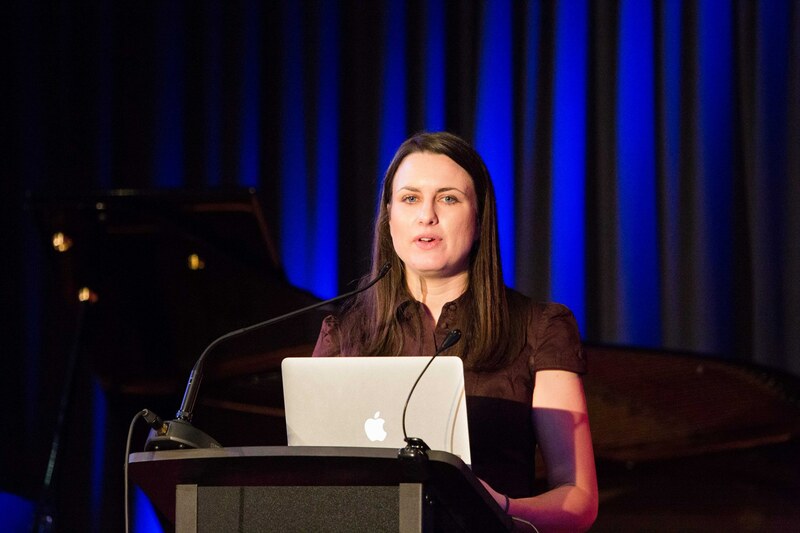 Our CEO Abigail D’Amore and Development Director and teacher Anna Gower went to visit Musical Futures Australia, coming back with some new ideas about what primary music could look like when it’s rooted in Musical Futures principles (read their many blogs on the subject Here, Here, Here, Here and Here). 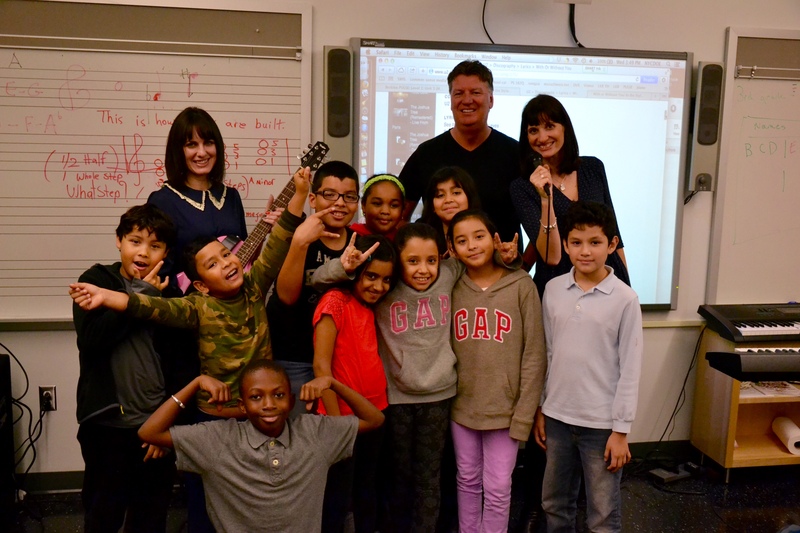 In October we will be in schools in New York to see how Little Kids Rock has got younger children playing music in some of the most challenging schools in the US. See, we believe the issues in music education are the same across the world and we are keen to look outwards as well as confronting issues that lie closer to home. 1) That it will start with music that students like and identify with and hold true to the principles that underpin Musical Futures. 3) It will be sustainable and not focused on a particular age group or key stage. 4) It will have a clear rationale for why quality music provision should be in our primary schools and an incentive for schools to take it on. There’s a way to go yet, but it’s a journey we can’t wait to start. Meanwhile, we will be tweeting along with episode 2 of Don’t Stop the Music on the #mufuchat hashtag from 9pm on Tuesday. Do join us. Why does the curriculum look like it does? What is progression within this curriculum? What are the competing ideologies behind any curriculum? Welcome to RSME’s research roundup! Here we assemble literature from our own journal, as well as other publications, that address online conversations about music education and related topics. 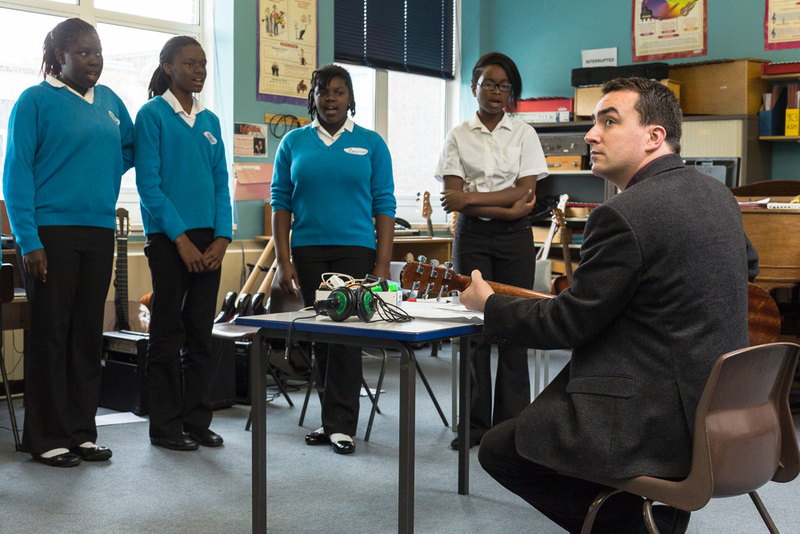 Our fourth roundup, inspired by Musical Futures’ recent #mufuchat, brings together research indirectly related to the @musicalfutures topic about whether previous mufuchats have changed followers’ teaching practices. Participating music teachers cited teacher talk and effective feedback as one aspect of their teaching that had been modified by the weekly twitter conversations. 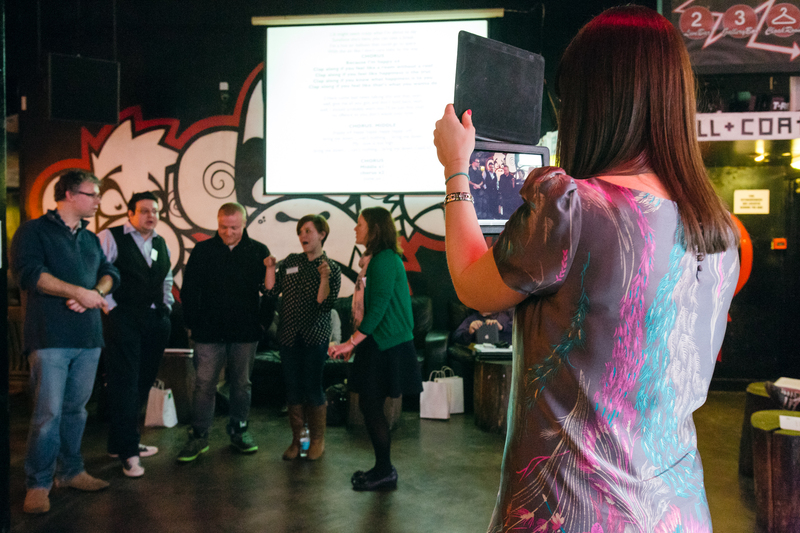 #mfpilot2013 began as a pilot project for a new Musical Futures approach to singing and mobile technology in the classroom. Ordinarily, the pilot would have been open to applications from schools and chosen on the basis of geographical location and quality of application. Musical Futures received over 100 applications for just 15 pilot places including some from overseas so we decided to open a ‘co-pilot’ to run alongside it. All the training that was given to the pilot teachers would be filmed and made available on our website as it happened. Co-pilots would sign up via our website and receive emails directing them to the resources they would need and a hashtag and weekly chat on Twitter was put into place as a means for teachers to discuss how it was going. A sharing space was created for teachers to pin audio, video and other resources they created and over 220 items were shared. Teachers were willing to share work even if it wasn’t polished or the outcomes weren’t as good as they would have liked and as result we were able to tweak the final resources and respond to issues teachers faced via the website. This meant that the final ‘Find Your Voice‘ resources were truly collaborative and are currently being consolidated and shared via a series of free training days running across the UK in 2014. By going through this process, we were able to experiment with the best use of social media to engage with our target audience for MF and as a result have now built an online learning community that gather weekly around the hashtag #mufuchat. Below are some of the tools we have found useful during the process.